If you are a teacher who knows how this feels, can I get an “AMEN!” ? Does anyone else have school through the 23rd?! Whew! Merry Christmas to all you teachers out there, enjoy a much deserved break! 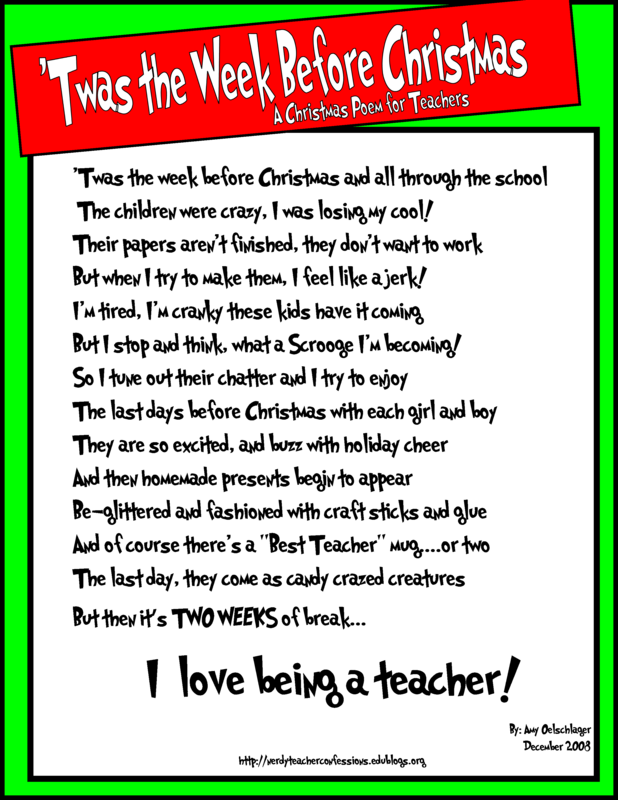 Oh, I almost forgot, here is a gift from the Nerdy Teacher–Click here to download the Twas the Week Before Christmas poem. Please feel free to forward this along to your fellow teachers as we deal with those candy-cane infused little monsters munchkins.